Owning a home is truly an “American dream” and it will probably be the largest investment you’ll ever make. However, there are three costly mistakes that home buyers frequently make and if you’re not careful, your new home can become your biggest “nightmare”. Costly Mistake #1: Not reading all termite reports before making the decision to buy a home! Ask almost any home buyer and they’ll tell you that they never took the time to read all of the termite inspection reports before they bought their home. Why would anyone skip this? If there was a major problem with a home that you wanted to buy, wouldn’t you want to know about it before you paid for it?? a) Look for room additions not built to code. Problems like these can be very expensive to repair. 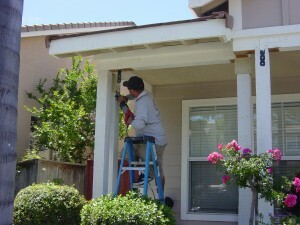 b) Check for concrete walkways and patios that are improperly installed at or above the level of the home’s foundation. Conditions like these can lead to severe moisture problems. c) Look for wood patio covers and decks that are not built to code. You may find some are set in direct contact with the soil which could lead to severe termite and dry rot problems. This is a condition that the average home buyer will never know about unless he or she reads their termite inspection reports. Termite inspectors are required to recommend a “whole-house treatment” when drywood termites extend into inaccessible areas. Please note that not all termite inspectors will agree on the proper methods of termite treatment. If one inspection report calls for a local drywood termite treatment and another calls for a fumigation – that can be a huge “red flag”. In cases like this, you have to start asking serious questions and you may need to get another opinion. When purchasing a home, insist on getting copies of all termite inspection reports from the past three years. If you need to, check with the State because all termite inspection reports are to be kept on file for three years. This is a very important step because you may be surprised when you learn of the home’s history. If you have two or more reports and you see major differences, you need to contact the inspectors and start asking how this can be – especially if they were done near the same time period. Costly Mistake #2: Not finding out if the home really needs a fumigation! Drywood termites are a huge problem in Orange County – especially along our coastal areas. Let’s face it, some sellers try to get off cheap and some others just don’t want to deal with it. You need to pay extra attention to this matter so you don’t get stuck with the problem, later. The California Structural Pest Control Board tells us in their literature that not all homes need to be fumigated. If an infestation is contained in a small area, the drywood termites may be eliminated by local applications. If treatments other than fumigation are recommended, you should be aware that localized treatments will not provide eradication of other hidden infestations in the building. Localized treatments are NOT designed for whole-house eradication. The Structural Pest Control Board tells us that there are currently two methods for total or whole-house eradication of drywood termites – fumigation and heat. Fumigations are where the structure in enclosed in a tent and a lethal gas is injected. When doing heat treatments, the home is covered with a tent and the home is heated until the inside temperature reaches 140 to 150 degrees Fahrenheit. BOTTOM LINE: The Structural Pest Control board recommends a “whole-house” treatment if you’re buying a home that is more than ten years old, it has more than just a few spots of drywood termites and there are no records of the home being fumigated recently. If another type of treatment is recommended, you need to start asking questions. Costly Mistake #3: Not taking the time to find out how the repair work is going to be done on your new home! Is the damaged wood going to be wood-filled or is it going to be replaced? In many inspection reports, you’ll see where they describe wood damage on a portion of the home, and then they simply tell you it needs to be repaired. What does a statement like this tell you? Are they going to use a wood-filler and repair the damage or are they going to replace the damaged part? You need to know the answers to these questions! Let’s say you had a wood member with only minor surface damage caused by drywood or subterranean termites. In a case like this, using a quality wood filler to repair the damage may be your best option. However, if the wood member is structurally weakened by the damage, replacement is usually a must. Dry rot damaged wood is an entirely different matter. When wood is infected with fungus and dry rot has occurred, the infected areas need to be cut out and replaced in most cases. Otherwise, the fungus will probably “spread like cancer” and continue its destruction of your home. There are some who will grab a can of spackle and start covering up all of the dryrot damage as if “they were spreading frosting on a cake”. But, repairs like this are only temporary and you’ll likely have to replace the damaged wood at a later date. If wood replacement is needed, how much wood is going to be replaced and what type of wood is going to be used? It’s pretty simple to get answers to these questions – all you have to do is to ask for a list of materials. Are you comparing repair bids? A close look at the materials lists can be quite revealing and don’t be surprised when you see a shorter list of materials on the “low bids”. Why is your list of materials shorter or longer than the other? Are you replacing everything that is needed? If not, why not? Are you replacing the entire damage part or are you going to just install a small piece? Is this repair work going to be temporary or is it a permanent fix? When looking at your lists of materials, pay special attention to what types of wood are going to be used. Some homes require special materials and they can be more expensive. Are they replacing like-for-like? There are many types of wood used to build homes and if you want to maintain the appearance of your home, it is important to try and use a material that matches as closely as possible. Yes, you can put a cheap Hyundai bumper on a Mercedes, but it won’t look the same after you’re done. 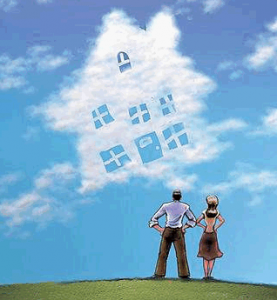 Buying a home is a big deal for most and you don’t want your dream to become a nightmare. Please, do yourself a favor and take the time to implement what you have learned from this article. If you aren’t sure of what to do and need help, call us at (949) 631-7348 and we’ll be happy to assist.